If you love cars, you will love this 2012 Motorsport calendar! It's 12 months of heart-pounding, high-quality racing images with links to exclusive behind-the-scenes videos. 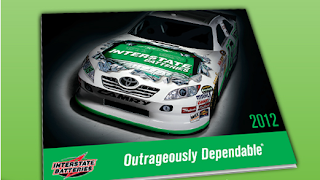 Claim yours now by Liking the Interstate Batteries Facebook page, while supplies last.